Smoke a cigarette with some pals after work with this astray. 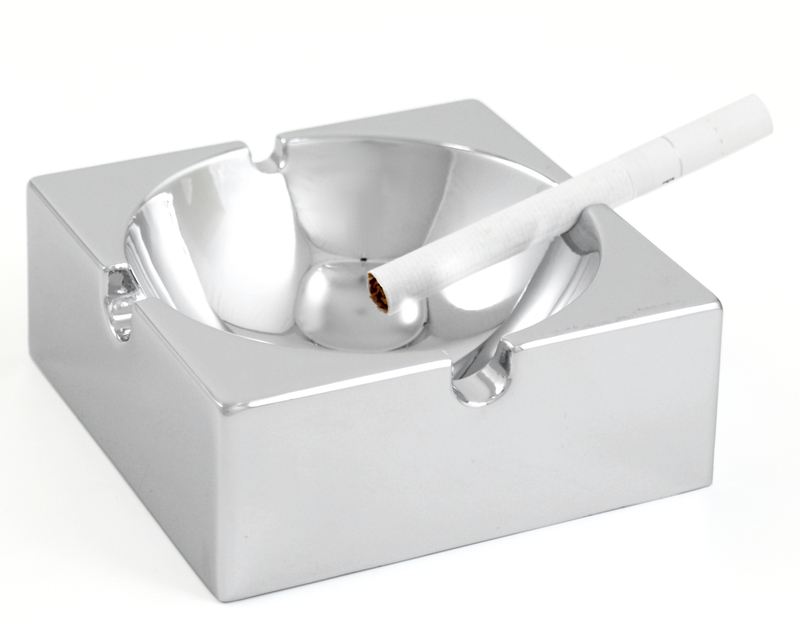 Made from sleek stainless steel, it features a square shape with a polished chrome finish and is uniquely notched to hold four different sized cigarettes. The four notches make it highly versatile so you can enjoy different types of cigarettes while using the same ashtray. It is great as a gift for any smoker.